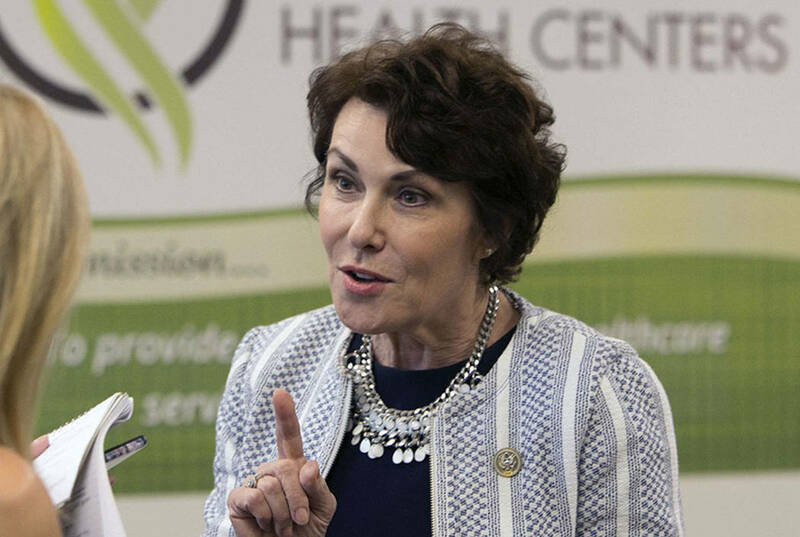 Bizuayehu Tesfaye/Las Vegas Review-Journal Storage of the waste near U.S. military installations is only one problem with Yucca, U.S. Rep. Jacky Rosen said. The storage and transportation of nuclear waste at the site — less than 100 miles from Las Vegas — poses a serious threat to national security because of the U.S. military bases that surround the area, Rosen said earlier this month on Nevada Newsmakers. “I sit on Armed Services (Committee), and I have a giant map about Nevada’s neighborhoods,” Rosen said. “We have Nellis Air Force Base, the premier pilot-training (facility) throughout the world. We have the Nevada Test and Training Range where we do all that training, 70 percent of the Air Force’s live munitions lives there. “We have Creech Air Force base, where we have our unmanned aerial system,” she said. “We train those Top Gun Naval aviators in Fallon. We have a Hawthorne Army Depot, a Nevada Test Site and Area 51. Other members of Congress see Yucca and as an excellent spot to store the waste, But they do not understand how vital central Nevada is to national security, Rosen said. Storage of the waste near U.S. military installations is only one problem with Yucca, Rosen said. The other one is moving it there through wide swaths of United States territory. 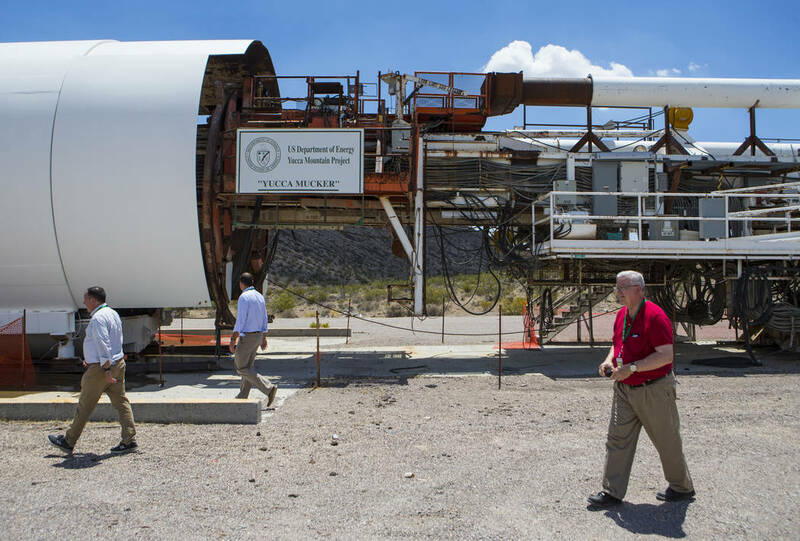 Nye County and the state’s other rural counties support completion of the licensing process, which would allow the Department of Energy to receive a building permit to construct a storage facility at Yucca Mountain. 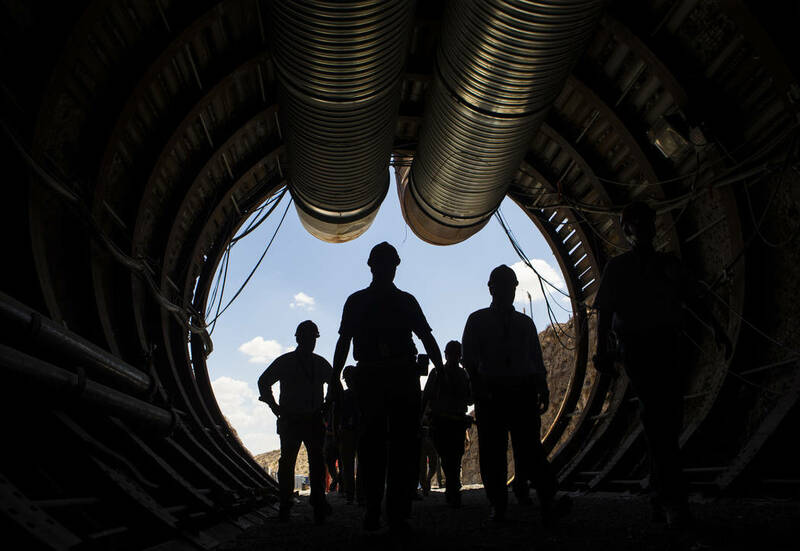 Proponents of developing the Yucca Mountain site claim the repository would bring high-paying federal jobs and contracting opportunities that would boost tax revenue for local schools and profits and opportunities for businesses. The Pahrump Valley Times and Las Vegas Review-Journal staff contributed to this story.